Hailing from the rainforests of Brazil, this attractive and vibrant plant will bring an instant tropical feel to any home or office. Bright indirect light and a humid environment are what this plant likes best, though it can also adjust to dimmer areas just as it might on the shady rainforest floor. Like others of its kind, the Calathea Rattlesnake gets its name from the unique patterns on its foliage. 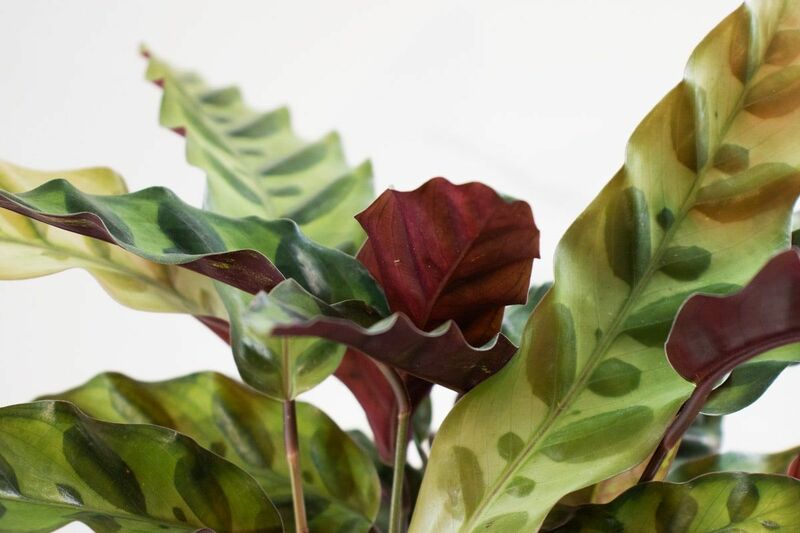 As a member of the prayer plant family, the long, patterned leaves will close at night, revealing a deep magenta shade on their underside. Follow the instructions below and you should not have problems with your Calathea Rattlesnake. 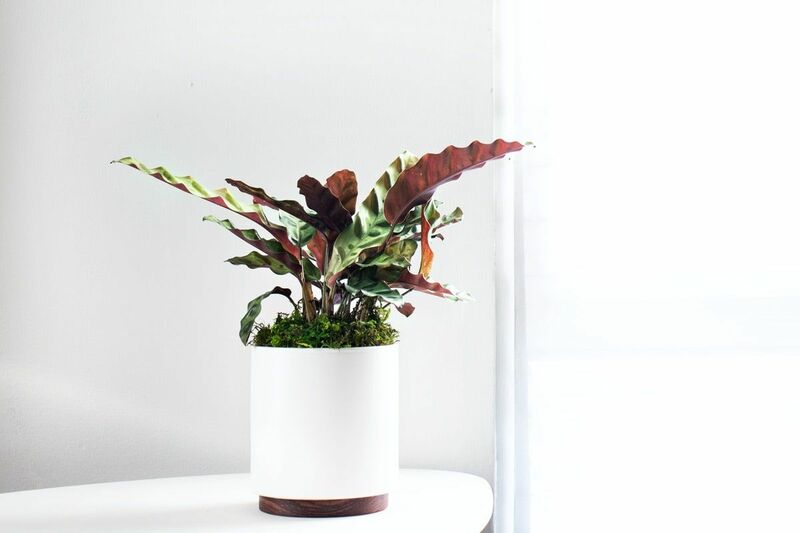 All plants experience some shock when moved around and may take a bit of time to adjust to their new environment in your home, but the Calathea Rattlesnake – like all our plants – is strong and adaptable, so take care of it and give it patience and it will reward you with its beauty. The Calathea Rattlesnake prefers bright indirect light. It can also handle medium and low light, but it will grow slower and watering amounts will need to be adjusted. Maintain your plant’s soil moist but not soggy. Check your plant weekly or every few days by feeling the topsoil under the decorative moss. It should always be just moist to the touch. To mimic your plant’s natural humid habitat, mist it regularly. To maintain shine, clean leaves regularly with a damp sponge. Yellow tips typically means too much water or not enough light. Brown tips might appear if your plant is needing more water or less light. Write us at hello@leonandgeorge.com with any questions about your Calathea Rattlesnake not covered here.